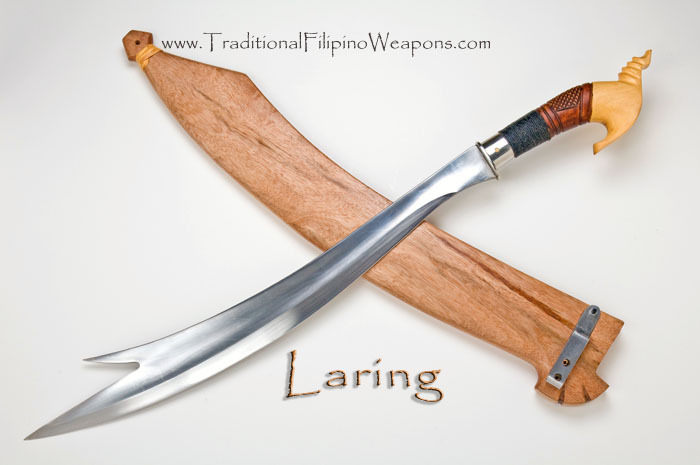 Laring – The Laring is another light, quick, and devastating traditional Filipino Moro weapon, recently added to our combat blade arsenal. 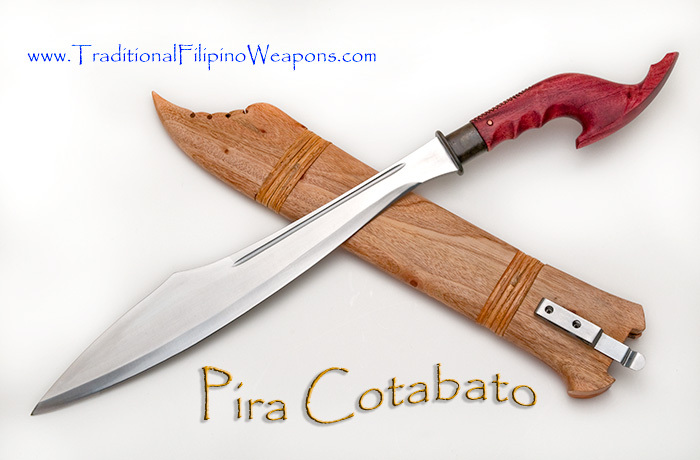 Nineteen inches of deadly steel with beautifully carved exotic hardwood handle in an ornate scabbard with locking spring lock retainer. 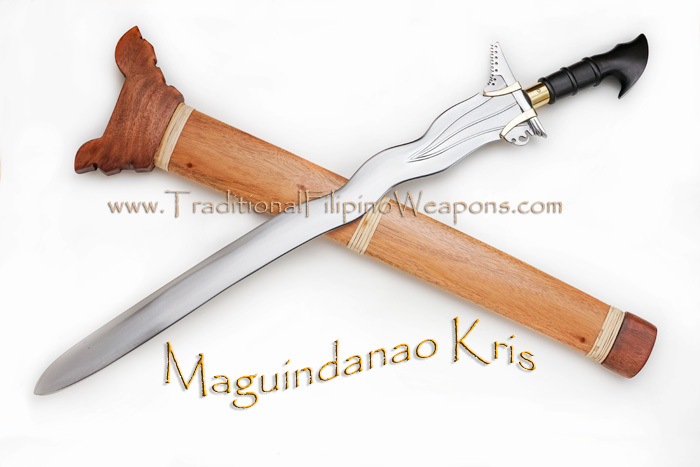 Our new, lighter, harder steel is used in this weapon, making it razor sharp and amazingly quick. 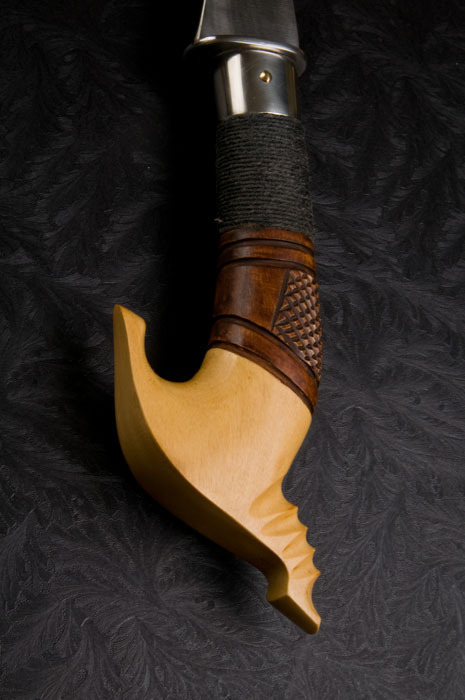 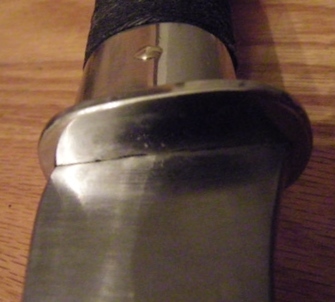 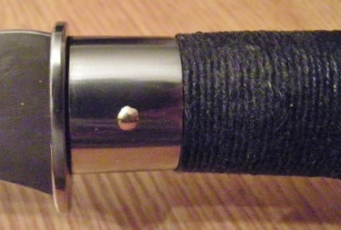 Notice the unique scabbard of the Laring which allows for straight out the top or out the side. 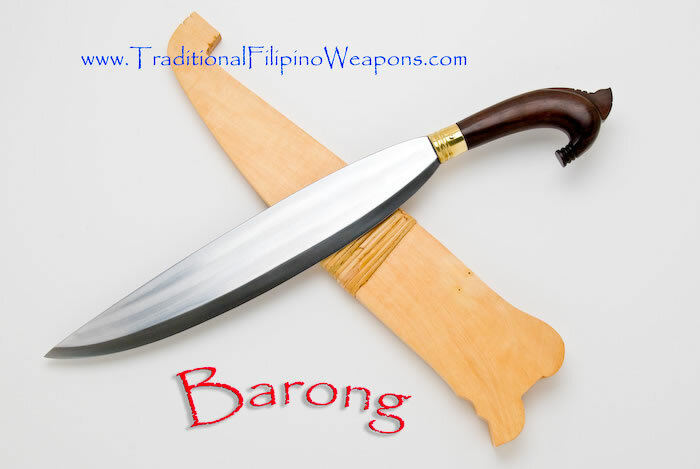 Speculation has it the Laring, and the Gayang may be spin-offs of the old style Kampilan going back to the days of Lapu Lapu. 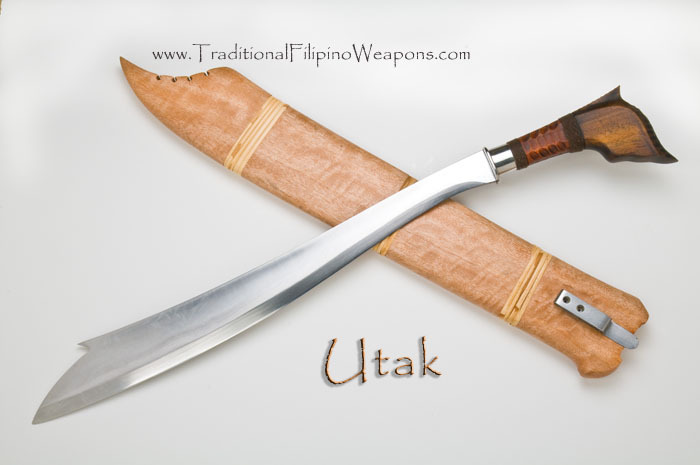 There is no accurate proof on that right now so we will not say one way or another, but Ron kosakowski is continuing to research to find out the true facts on this rumor.